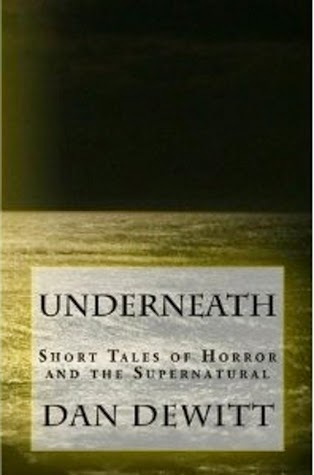 Underneath: Short Tales of Horror and the Supernatural by Dan DeWitt is available at Amazon. Vengeance...desperation...murder-for-hire...horror in real-time...a healthy dose of zombies...spectrophobia...even a little bit of hope. They all come together in a place underneath the one we know. Ten tales of horror and the supernatural, plus a 17,000 word preview of the upcoming zombie thriller "Orpheus." I snagged this as a freebie on Amazon and found a well-written/edited collection featuring several zombie-stories for fans of the genre. A couple of the stories failed to hook me because the plots/characters felt too familiar but one, Marriage Counseling, was a jolly good read (5-stars, on its own) with an interesting twist at the end (it did not involve zombies).